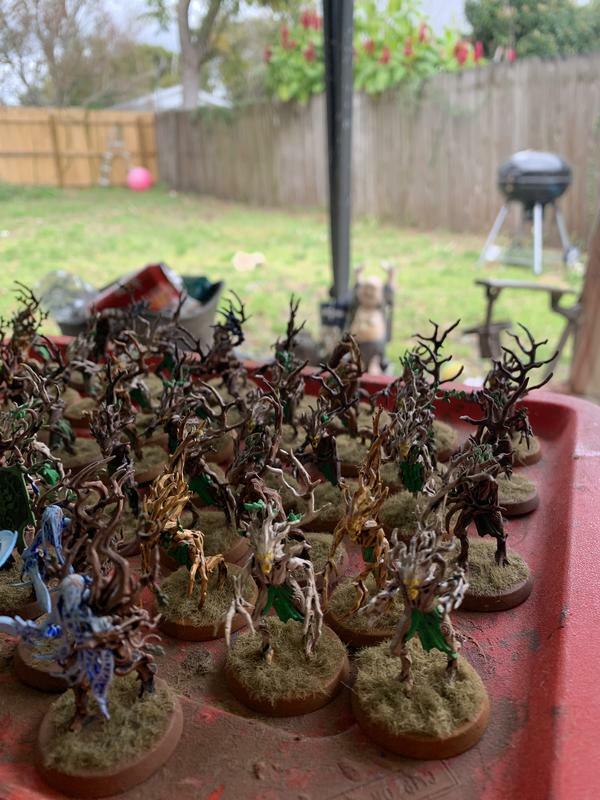 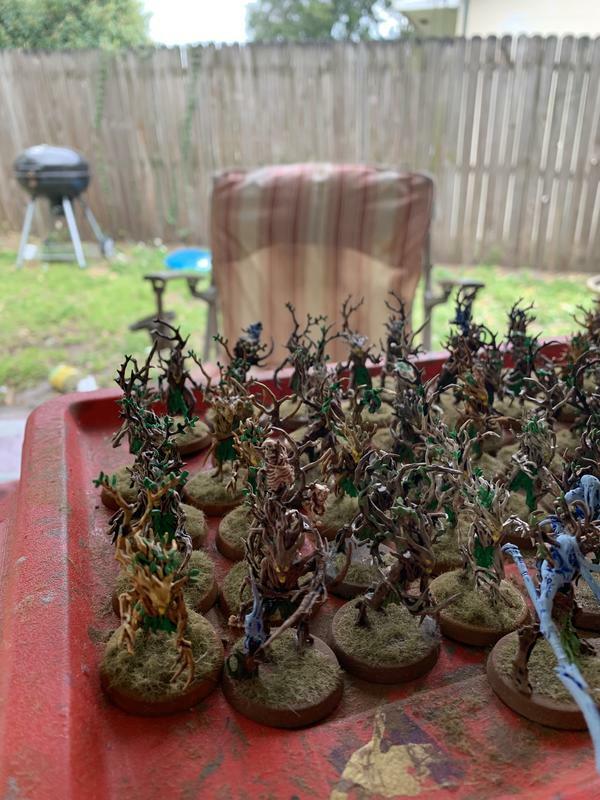 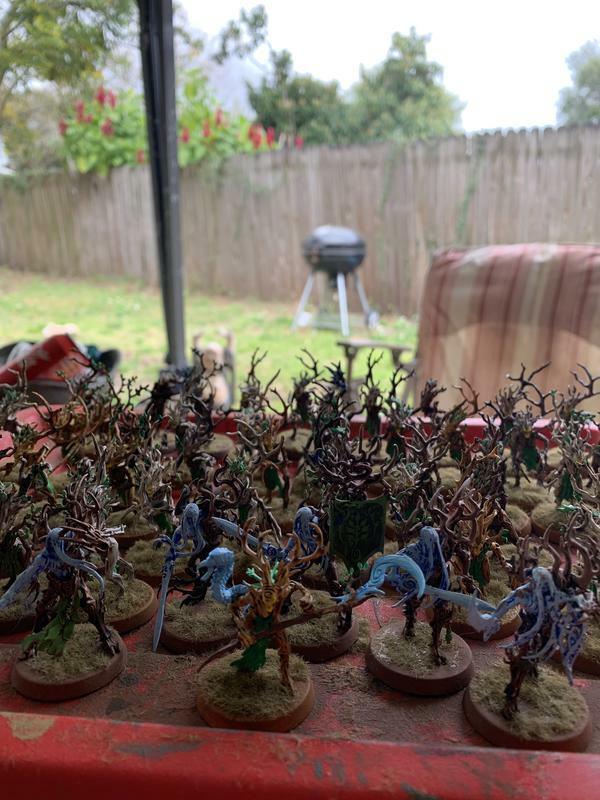 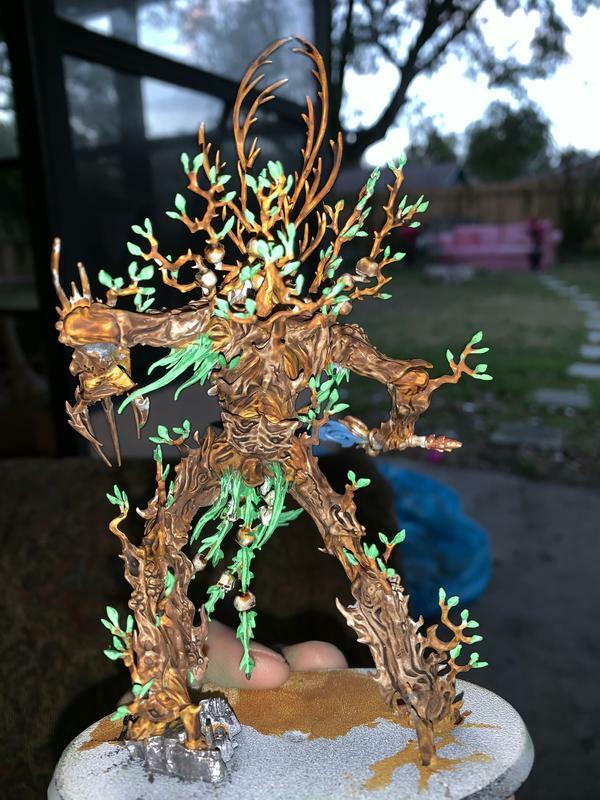 I finished the dryads and got them based. 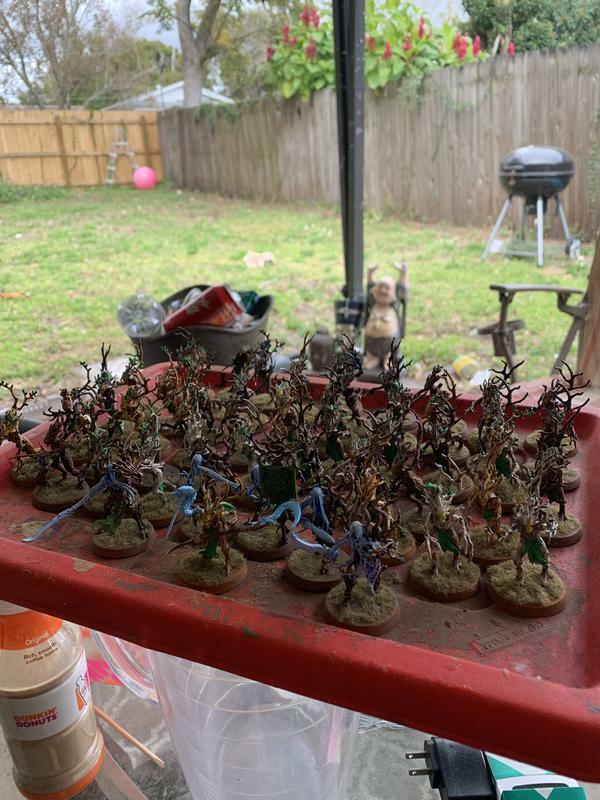 As I start to see what my painting looks like it the day light I notice that I rush through models very quickly and often leave mistakes that glaringly stare me down every time I get the models out to look at. 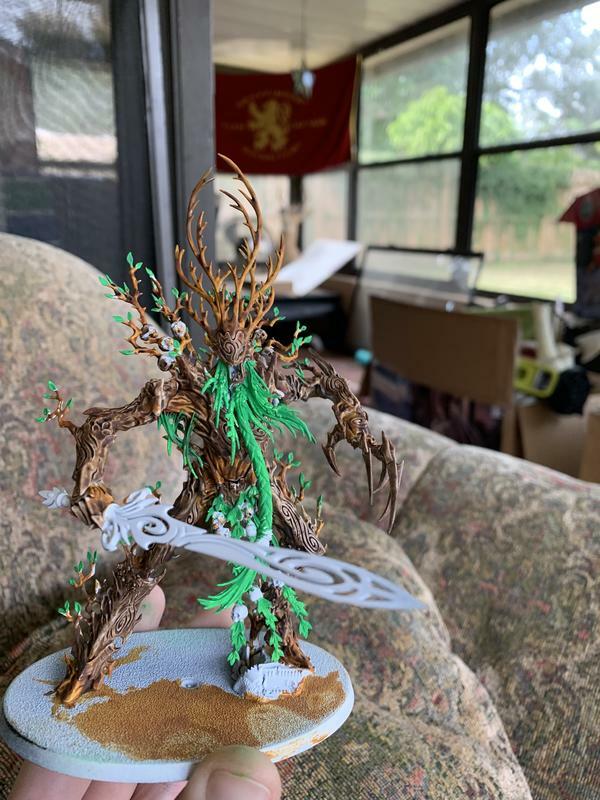 Given I don’t have a proper place to paint and the lighting is usually bad when I do get to paint through the night until 5 am on my days off of work it becomes evident I need to get a place for myself that I can focus on painting more. 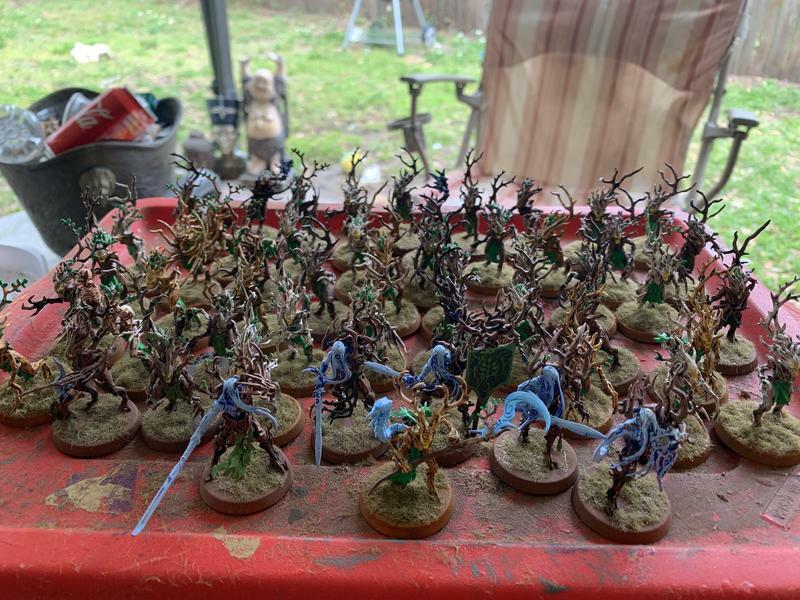 I have never been a great painter but I always try to finish armies with the best of my ability but it seems at times that ability isn’t what I want it to be. 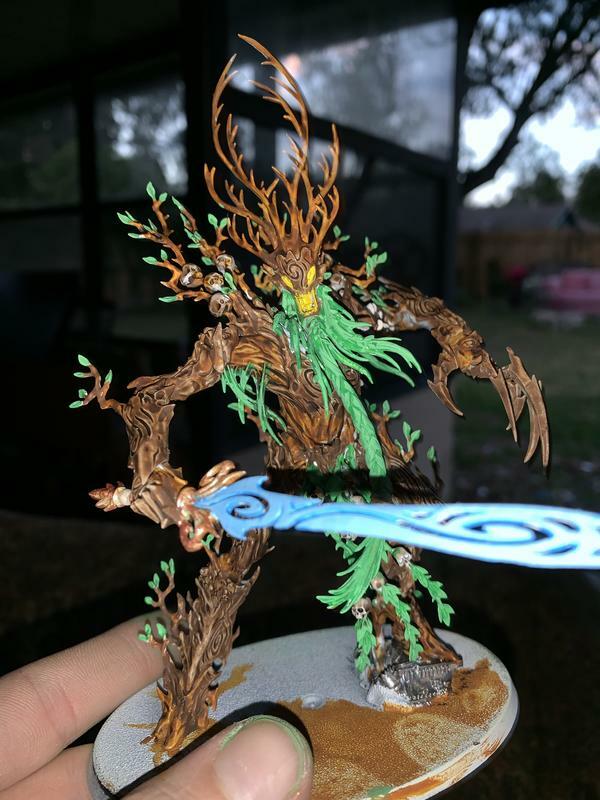 10 years of practice and I still try and rush through painting haha. 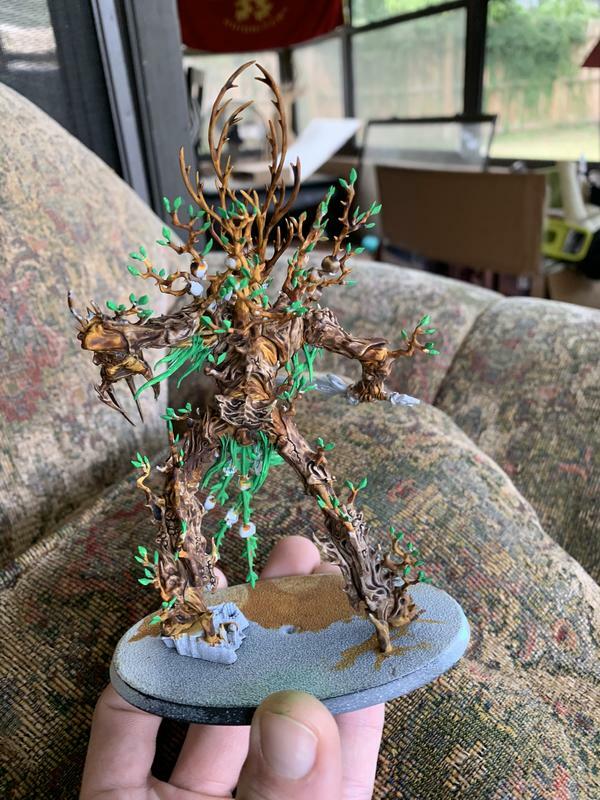 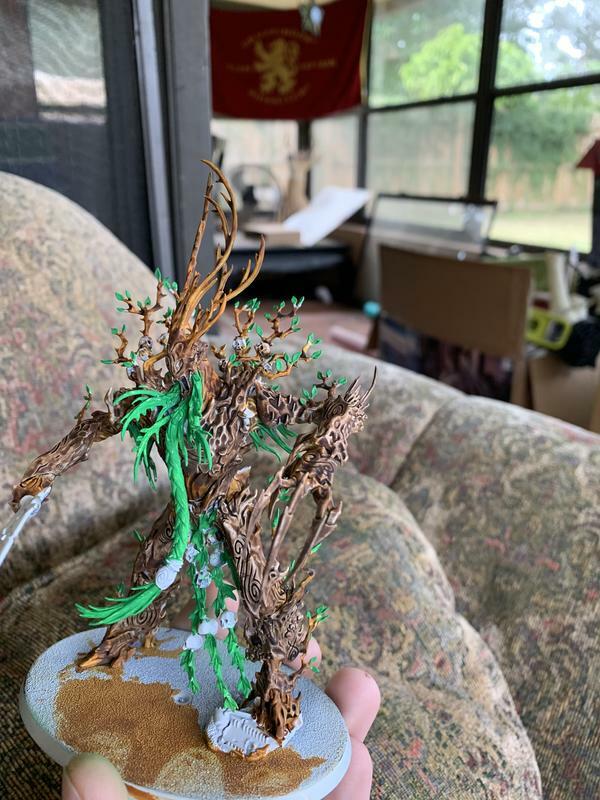 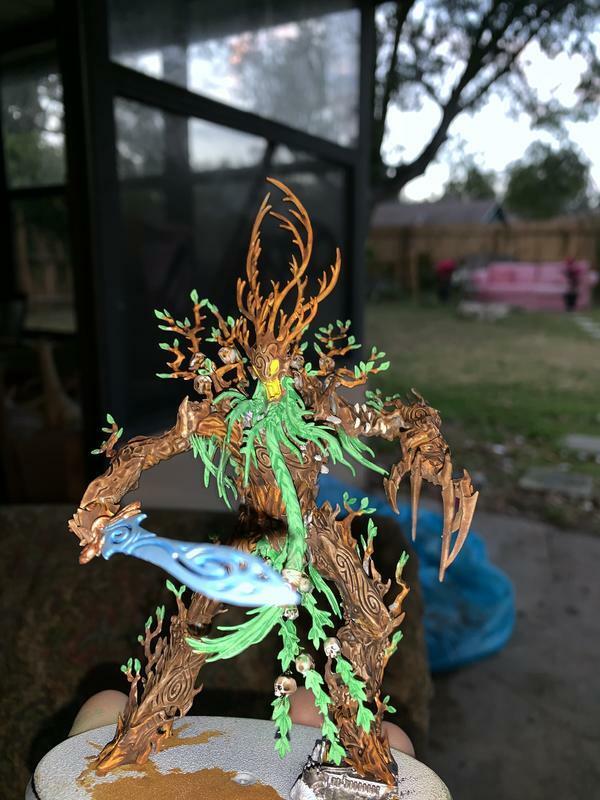 Anyway up next is the Spirit of Durthu which is something I have looked forward to since the day they announced the Sylvaneth were becoming a Battletome army.